Köch Construction also handles the construction of large scale buildings, likes schools. We have the experience necessary to complete any project in compliance with all of the required regulations. 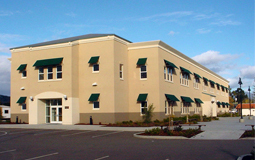 Köch Construction was selected to construct the Windsor Christian Academy and the Preschool building. Both buildings were constructed using a metal building system. The results were a huge savings for our client, compared to public school construction methods.